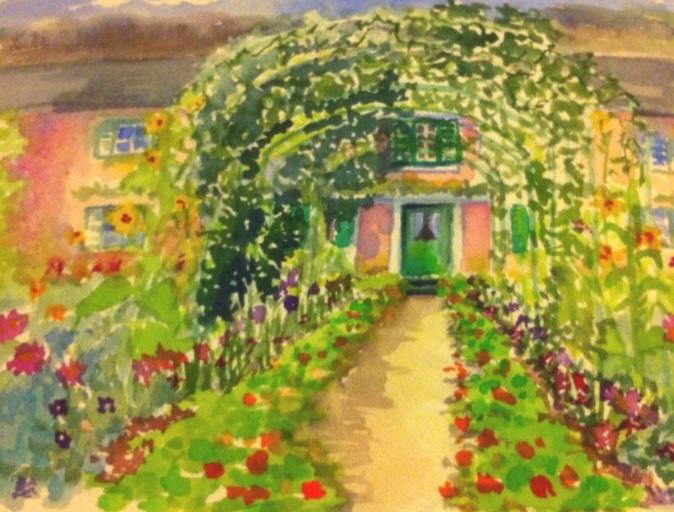 When we entered Monet's Garden to paint it was like being a kid in a candy shoppe. There were so many wonderful scenes to paint. I decided to paint the above view. Monet was not at home that night so I couldn't show it to him to get his opinion. 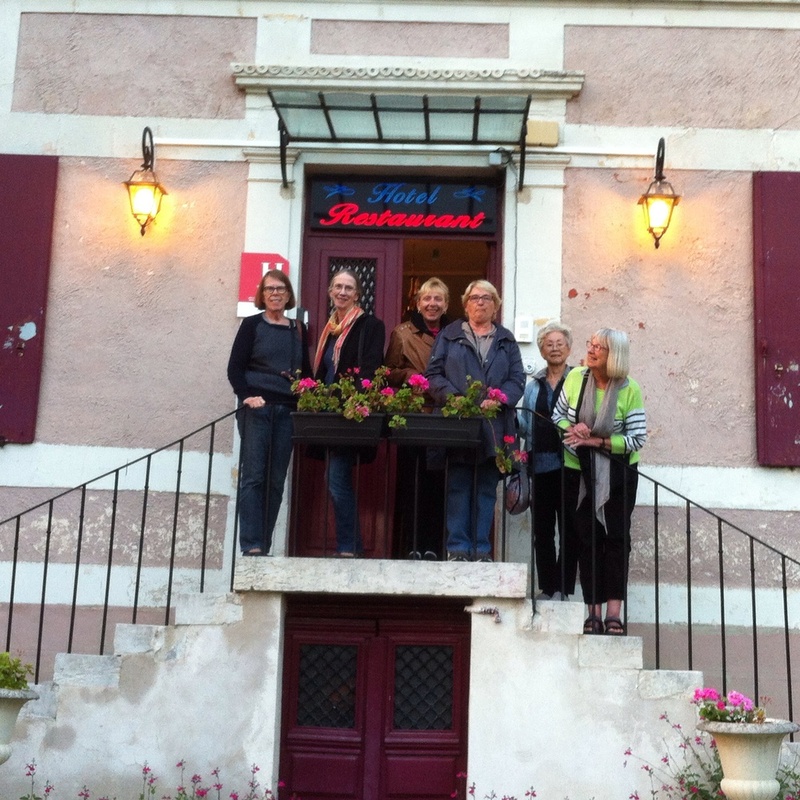 We went to dinner tonight and some of the ladies were kind enough to stop and pose on the balcony before going in to dinner. Annie Hooten finished up our workshop today and left for home. 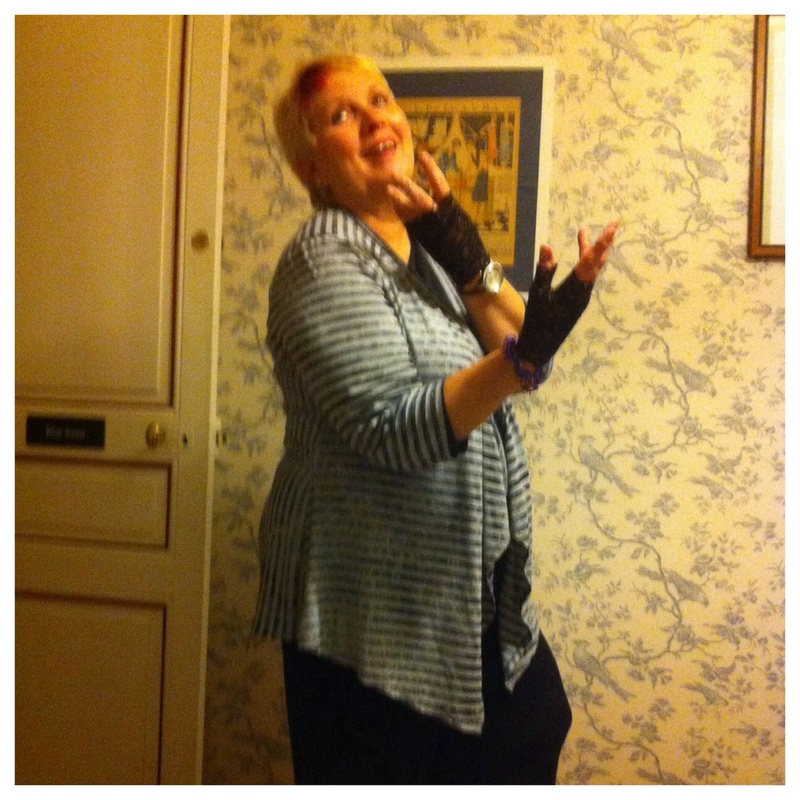 She shows us the gloves she brought for a dance party that never happened. Tomorrow we are off to visit Honfleur.